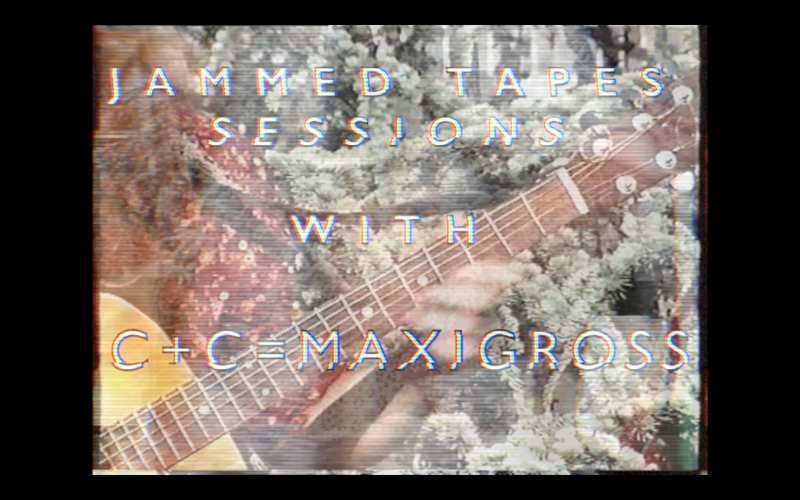 :: JAMMED TAPES SESSION :: C+C=MAXIGROSS – IS YOUR CLAM IN A JAM? Last Friday I met up with Verona mountain based band C+C=Maxigross on a sunny afternoon before their gig at the excellent Communion party at Macao Cultural Centre. They arrived while the sun was still high in the sky so we hiked up to the roof of the old refurbished slaughterhouse to find a spot to film in. Up above the grey buildings, amongst long forgotten building material and urban debris we managed to find a green corner where the top of a pine tree gave that inspirational, natural touch needed for the session. On the rooftop we recorded two acoustic songs, Cream Crimson and Lesha! Keeyo! See-Ya! two beautiful journeys into a land of sunshine, rolling hills and green green grass. Their choral, almost pastoral psychedelic folk is one you’d expect coming out of a commune in Northern California in 1969, and if I was already blown away by their acoustic performance that afternoon, later in the night, when they plugged in their instruments for their gig I couldn’t believe my ears – it was like Neil Young and Jerry Garcia jamming on an electric mountaintop. Check out the two videos below, go get their records out on mountain label Vaggimal here, and go see them play at Primavera Sound in Barcelona!